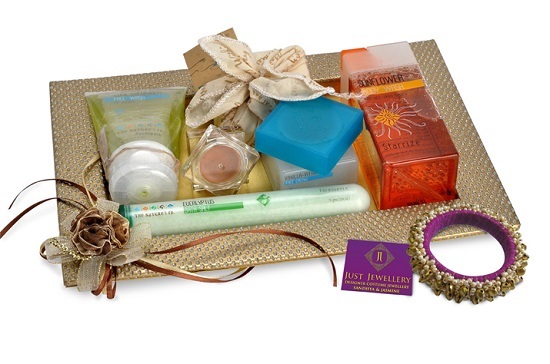 My Makeup and Beauty Vanity: The Nature's Co.: Raksha Bandhan treats for your sister! 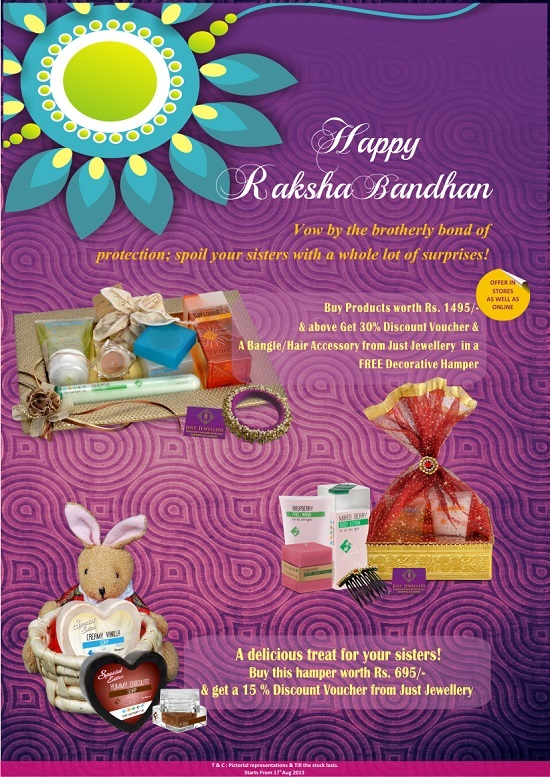 The Nature's Co.: Raksha Bandhan treats for your sister! With the commencement of Raksha bandhan, festivities kick-start in India and undoubtedly gifting plays a vital role in every celebration. 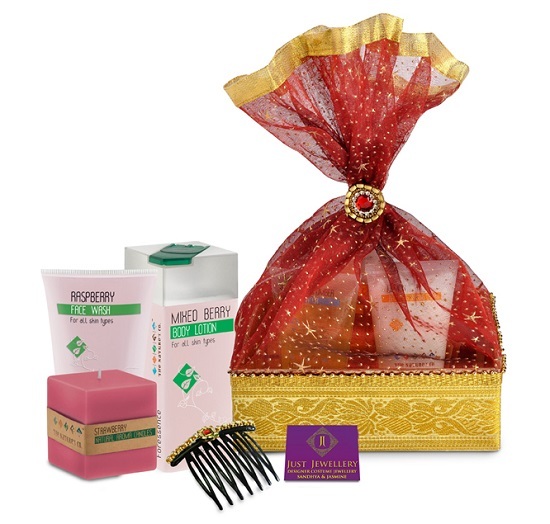 Rakhi Gifting is a very significant ritual which is celebrated with pomp and fervor. Raksha Bandhan is considered to be the perfect occasion to show your love and respect to your sisters and the perfect reason to celebrate the everlasting bond of brother-sister relationship. 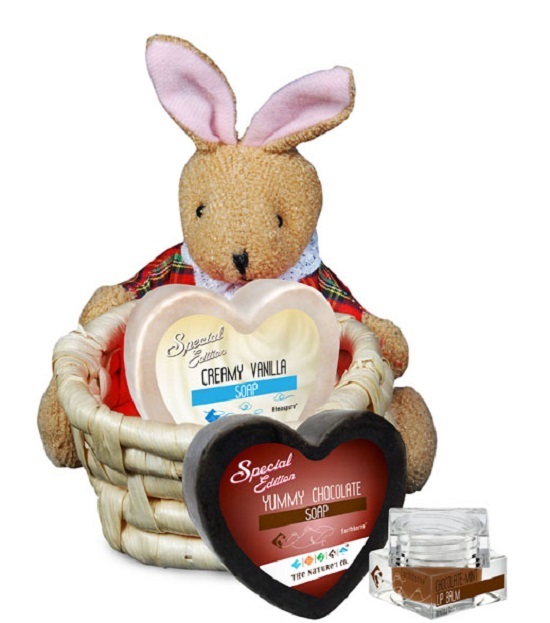 To strengthen this love between siblings, The Nature's Co. provides you with an option of “Make your own Hamper”, by handpicking each product of her choice which spells out sweet memories from your time spent with your sisters. To make this Raksha Bandhan memory everlasting & special, also get a trendy and exquisite piece from Just Jewellery -designer costume jewellery that will being a smile on their faces. Now, go spoil her with a whole lot of natural and indulging surprises, and make her the owner of a classy piece of jewellery on this auspicious day. Drop in at The Nature's Co. Store from the the 17th to the 23rd of August, or order online on www.thenaturesco.com and splurge for your sisters. Below are the special gifting options this Raksha Bandhan brought to by The Nature's Co.
1) Predefined Kit : The delicious treat for your sisters! very pretty gifts riya..happy rakhi in advance.. The closing ceremony of the Rio de Janeiro Summer Olympics 2016 will officially take place on 21st of August 2016, Sunday evening at Maracana Stadium of Rio de Janeiro which begins at 20:00 BRT (UTC−3). This closing event will take place at the stadium after all the sporting events of the Summer Olympics 2016 complete.Closing Ceremony Rio de Janeiro. Thanks Riya for giving gift suggestions. I was worried about selecting the right gift for my dear sister this Rakhi. !! HAppy Rakshabandhan in advance !! As per the latest news, Punjab Education Board department is planning to release Punjab Board 12th Result 2018 on the official web portal very soon. Once the result declared on the official website then after candidates can check it from other website also. All the marks evaluation and answersheet checking procedure will be finish after the examination process. Telangana State Board of Intermediate Education, will be organize TS Intermediate Examination in March 2018. candidates can check their TS Intermediate Result 2018 , after the completion of examination. Your Board examination time table will be available in January 2018 Onward. Keep Visit Official web portal regularly for more updates.